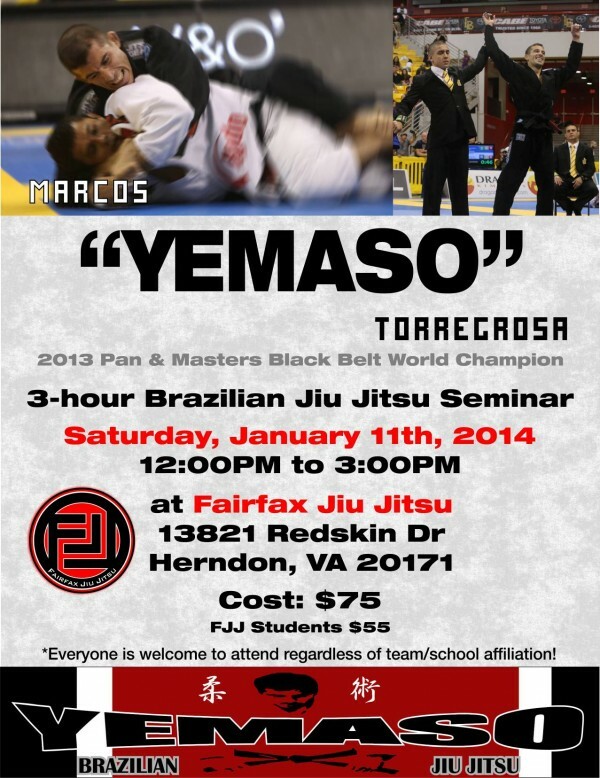 The #1 ranked Masters lightweight black belt in the world, Marcos “Yemaso” Torregrosa, will be teaching a 3 hour seminar at Fairfax Jitsu on Saturday, January 11, 2014 from 12:00PM to 3:00PM. Yemaso is the 2013 Pan Jiu Jitsu and Masters World Champion and has won numerous titles at the black belt level. We are excited to have him teaching and training with us. The cost to attend the seminar is $75. Students from any and all schools are welcome to attend.